cookies | Counting my cookies... & Eating them too! Cookies are my Frenemy. They bring me much joy, and cause me much grief. Especially these ones! Lofthouse soft baked, frosted Red Velvet cookies! Disclaimer Only one cookie was harmed in the making of this photo. I wanted to talk a bit today about the challenges of managing eating on “special occasions” and/or indulging in “treats”. This is an area where I have become more aware of the challenges and consequences, and yet I still struggle to conquer this situation. 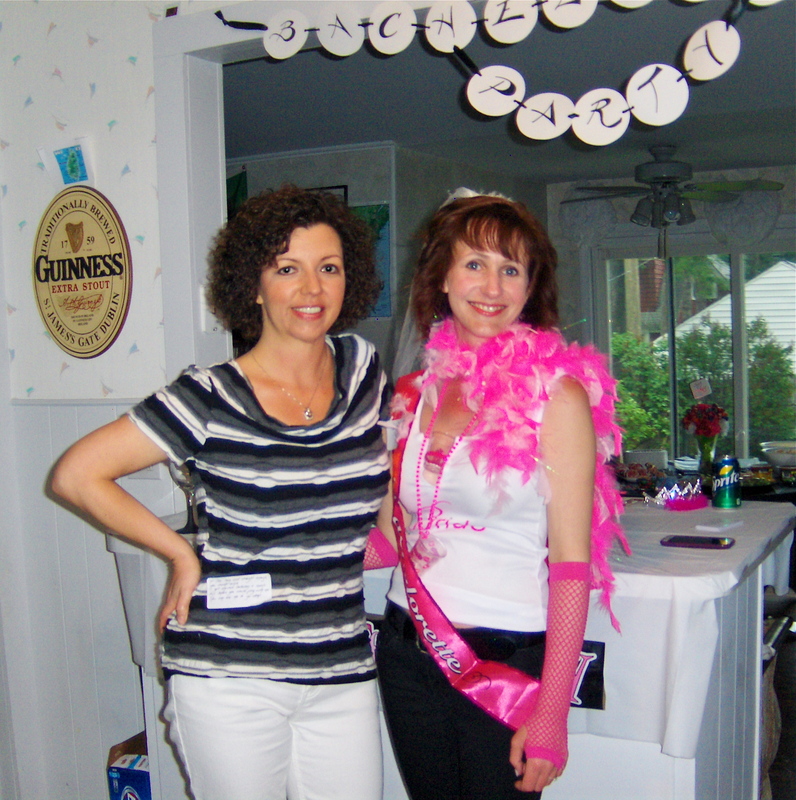 For example, last Saturday, not only did I run a 5K, but later that night I attended my best friend Terri’s bachelorette party. Part of my job was to bring food. I gave this much thought because I knew I would be eating whatever I brought and I wanted to provide myself with lower calorie, somewhat healthy options. But I also wanted to do it in a way that the other gals at the party would enjoy the selections, with the options being kind to their waistlines. French onion dip – not the healthiest, but quite yummy! Since I had done the race that morning and burned a good amount of calories, I really didn’t want to spoil my calorie count for the day by splurging too much at this party. I carefully logged on calorie count what I planned to eat, one serving size of everything I brought, plus two drinks of vodka & club soda. This, combined with what I’d already eaten for the day, was going to put me +200 calories over my daily target (even counting the calories burned from my race) – which was an acceptable overage given that it was a ‘special occasion’. I stuck to my plan of only eating one serving size of everything that I brought. But then Terri’s mom (who, by the way, is one of the coolest mom’s I’ve ever met!) also made homemade pita chips and buffalo chicken dip. I resisted it for several hours but finally gave in, and after tasting how delicious that was, I went back for seconds of that. She also made bacon cheese stuffed pastries, which I resisted as long as possible but eventually caved in and ate several of those. (Also, delicious!) Oh, and did I mention the red velvet cookies? You KNOW I couldn’t stop at just one of those! All said and done, I’m sure that my day ended somewhere more like +1000 calories over my target instead of the +200 over target I had planned. Now don’t get me wrong, I had a GREAT time at Terri’s party, and I am so happy to be sharing all these special occasions with her leading up to her wedding. I really enjoyed all the food, and drinks, and fun and laughing and all that great stuff. What I am getting at is that I am having a hard time exercising discipline with food when I get outside of my normal, structured, planned eating patterns. This has always been an area of particular weakness for me, especially when it comes to sweet treats. It is an ongoing, never ending battle. The battle against doughnuts at the office. Birthday cakes. Celebration dinners. Home baked treats. Ice cream on hot days. 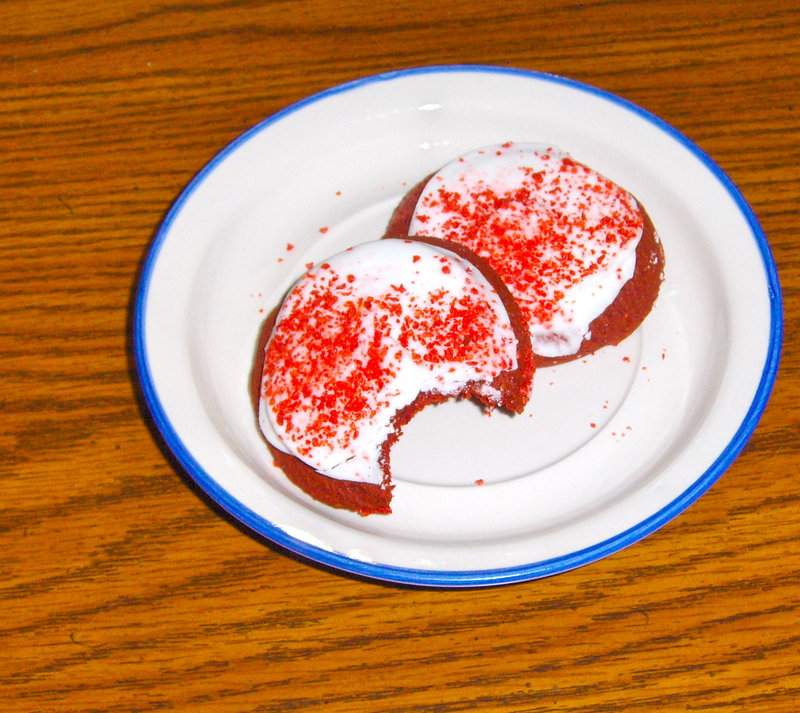 I brought home about a dozen of the red velvet cookies from the party. I have eaten one almost every day since then and only managed to abstain on two days. I find myself spending hours fighting the good fight in my head, trying to talk myself out of eating rich, delicious, sugary treats. It seems like I can resist for so long, but often I give in “eventually” and indulge. And part of me thinks that somehow I did good because of how long I resisted. When the fact is that the calories count whether I gobble them up the moment the urge strikes or if I “exercise discipline” for a torturously long time and then indulge. In the end, I am unsure how to overcome this obstacle. I do not suspect my sweet tooth is going away anytime soon, I have had it my whole life. There is nothing I love more than sweet treats. However, I think if I am going to indulge at all I need to start just making the decision to do it, do it, and live with it and move on. Instead of fighting and trying to resist and putting myself through the guilt-trip wringer and then still giving in. Unfortunately, that’s the best I have for this problem, at the moment….